Phuket’s Big Buddha is one of the island’s most important and revered landmarks, visible from almost everywhere on Phuket. You have enough time here to explore the Thai Buddhist temple, enjoy a fascinating bird’s-eye view of the surroundings, and take memorable pictures. 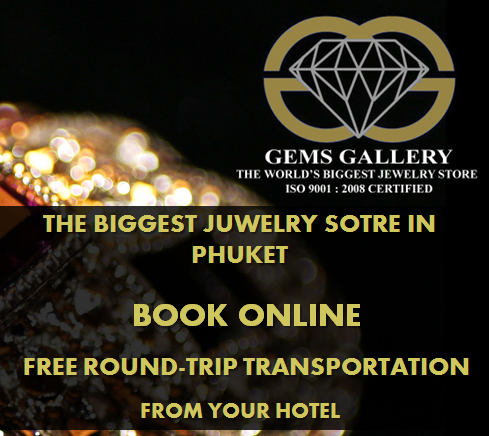 From here, you can see other famous landmarks of Phuket, such as Wat Chalong (the biggest Buddhist temple on Phuket); Kata, Karon and Kata Noi beaches; Promthep Cape at the southern end of the island; and Chalong Bay, with its numerous boats and private yachts. Try to see your hotel from here—it might be visible somewhere out there. Have you rested enough? Now it is time to get back on the trail. About ten minutes of steep, downhill ATV driving and you arrive at the elephant camp. 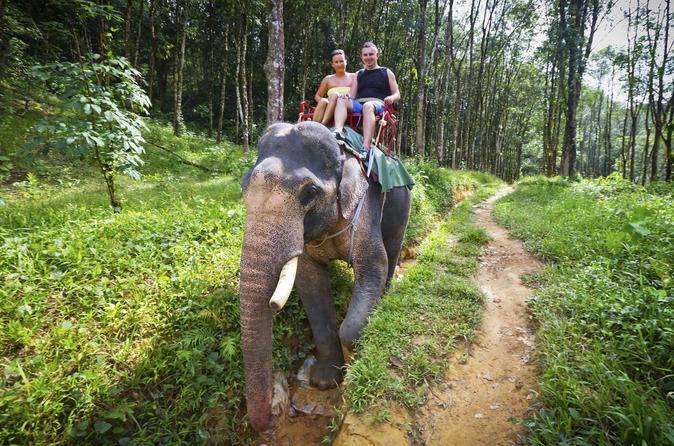 Change your “vehicle” and continue exploring tropical jungles while riding an elephant! This time, Mahout leads the elephant all the way through jungles. Two of you sit on a top of a graceful animal, walking further and further into a vivid tropical forest – the elephant’s natural environment. This is your chance to learn more about the elephants, observe their behavior, and see how strong and smart they are. After half an hour of elephant trekking, you arrive at the place from which your adventure began. Here you can use a restroom, clean yourself up (we can’t say for certain, but you might have gotten dirty ) and grab a drink, as you might be thirsty after your adventure. The exact pick-up time will be told to you after booking, as it may vary by 15 minutes. 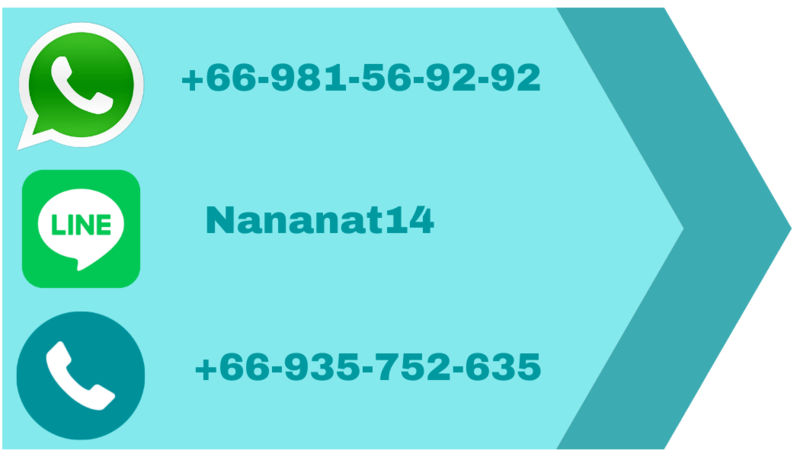 We will send you your pick-up time by e-mail, or text message on a local phone number, what’s app, Viber. PLEASE notice for this tour we provide with transportation only from : Kata, Karon, Patong, Chalong.